Fareed Haque, the band’s leader and overall guitar virtuoso was approached by Scott Belck, the head of the CCM Jazz Orchestra (Cincinnati Conservatory of Music). “When [he] approached me at a gig about a Garaj Mahal big band album I thought he was joking at first. Then I realized this cat knew all our tunes! He seriously wanted to play our music arranged and performed by his orchestra!! Then debut it at Lincoln Center, play it all over the country, record an album. And here it is.” If the recorded project wasn't impressive enough, the CCM Jazz Orchestra is a student ensemble. Yes, you read that correctly. These students are playing with the timing and mojo of the soul/funk masters. In Search of Garaj Mahal does what many thought impossible: raise their music up not one, but several notches. Garaj Mahal was always a small band playing complex and genre bending compositions, sounding much larger than four people on stage. They were true road warriors, playing venues and festivals of every size around the country, and except for guest sit-ins and festival jams, they were never able to explore the orchestral possibilities of their music. It only takes a minute into the first tune, “Chester The Pester,” to realize how fertile this music is for the big band treatment. “Chester The Pester” receives the full CCM Jazz Orchestra treatment as the horn lines pile onto each other before going into the signature funky groove Garaj Mahal is known for. The song alternates between sparse, drum/bass driven syncopation, laying the foundation for quick bluesy solos and interwoven horns that are gleefully counter-punching each other. “The Shadow” brings the original four piece Garaj Mahal sound out front and shows why this band became headliners of nationally known festivals such as Floydfest, High Sierra, and Smilefest. When most instrumental bands choose between complexity and groove, “The Shadow” shows that in the right hands, they can be one and the same. The fourth track, “Uneven Mantra,” is just that: uneven. Played in odd timings and featuring the Indian/Pakistanian instrument the Tabla, it shows why Haque was voted “Best World Guitar Player” in Guitar Player magazine’s 2009 reader’s choice awards. His ease within the Ravi Shankar style of rhythms and melodies is both infectious and graspable for western ears. Medicated Sunfish--a refreshing sound for the NC jamband scene. Medicated Sunfish is a young band out of Wilmington, NC that has the talent, creativity, and soul to rise to the top of the NC jamband scene. Their first release is a self-titled 5 song EP that has a sense of maturity and polish rarely seen in bands this early in their career. My prediction of Medicated Sunfish’s expedient rise through the southeastern jamband scene is not because of their ability to meet the qualifications of what typical jambands are, but instead to ignore them. The vocals are the most obvious example of this. 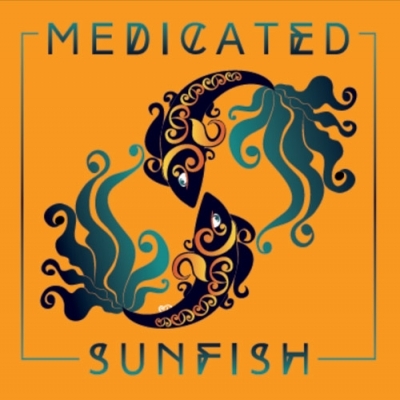 All too often singing is an afterthought to overstated instrumental prowess, but Medicated Sunfish has a dedicated vocalist in Isaac Clowers that brings a refreshing and much-needed balance to what we’re used to within the scene. Clowers’ sense of melody and phrasing alternate between floating above the music at times and providing memorable hooks that you’ll catch yourself humming for hours after listening. The second half the EP hits you with a Tarantino-esque surprise ending, as the band morphs into another huge influence with their Rage Against The Machine-inspired passion and drive. Again, in the context of the southeastern scene that they are currently traveling through, this is a welcome and refreshing surprise. “Maker,” the 4th track (not including the instrumental opener) is the one that sticks with you long after you’ve listened to it. Guitarist Josh Boyd takes us back a few decades when distortion and tight riffs were the backbone of many great metal songs as he works his way through this journey. It was only the third episode of his new HBO show, Last Week Tonight, but John Oliver already had a viral hit. His "main story," as he likes to call them, was not whether climate changes exists, but why 25% of Americans still don't believe it's happening--even though it's been scientifically settled. ...he brought in 97 scientists to debate the 3 opposing ones. In line with the actual scientific community studying climate change. Beautiful pandemonium ensued. It was a simple and brilliant move by Oliver to show how easily media can mislead people on important issues even when they don't mean to. The political news site Vox has just created a video that does the same for national election maps. During every election we are shown this map that is geographically accurate, but when it comes to actual votes, is grossly misleading. The above map shows the 2012 election results where Obama won by a considerable margin. For people who are knowledge-deficient, but hyper-conspiratorial, these misleading maps only fuel their anger and perceived injustices. Why do liberals win the elections when we obviously have a conservative majority? 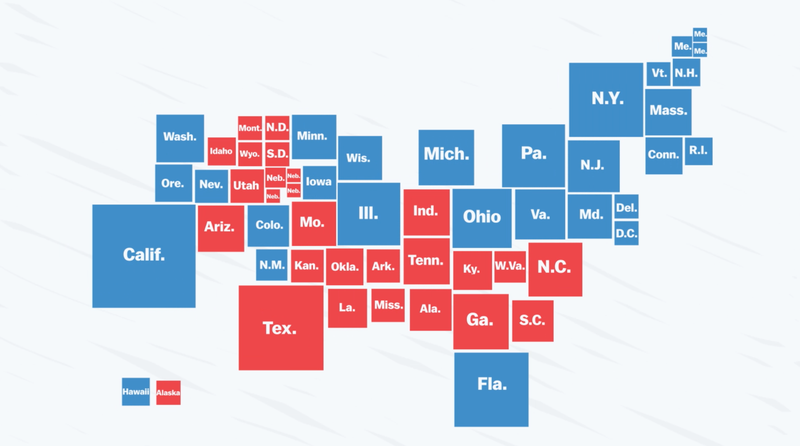 Instead, we should promote election maps that are statistically representative, such as this one. Because, after all, it's the people that vote, not acres of land. 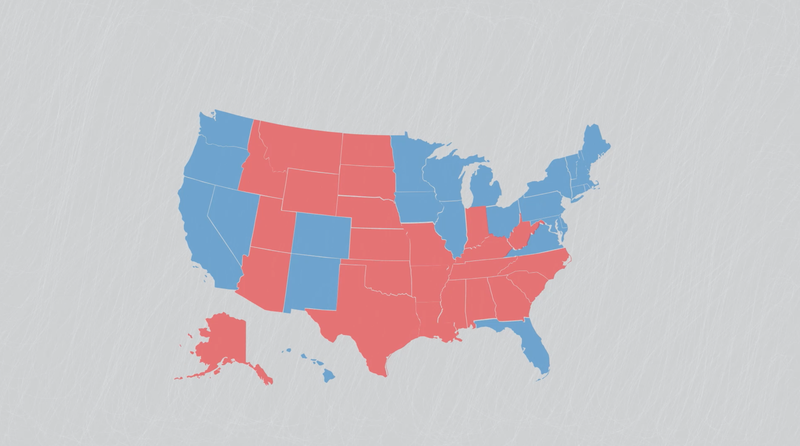 And here we plainly see that more people voted for Obama than Romney. There's no conspiracy, no injustices, just a representation of people and their votes. Recording their new album, Southern Crescent, in south Louisiana. How bluegrass and heavy metal are so similar. And how their version of Springsteen's "I'm on Fire" made national news. Featured songs are Phil Barker's "Southern Crescent," Bobby Brit's fiddle instrumental "St. Augustine," and "Tick on a Dog"
For tour dates and more info visit Town Mountain's website. This 3 min animated short film about a disabled puppy has received 59 awards. This animated short film is racking up awards, and scored two graduate students their dream jobs with Disney Animation and Pixar. The film, entitled The Present, shows a boy getting a disabled puppy from his mother. It was created by Markus Kranzler and Jacob Frey in 2014 as a graduation project while they were students at Filmakademie Baden-Wuerttemberg in Ludwigsburg, Germany. The multitude of awards come from the U.S., Italy, Canada, South Korea, and Portugal. The film is a little over 3 minutes long and you can watch it here. Howdy Lonesome Banjo readers. I recently took the jump into the wild-world of podcasting and my conversation with Amanda Platt will be the first episode. I'm working to create a series that will feature musicians and artists talking about life, culture, arts, and current events. My goal is to have conversations, not interviews. If you go to iTunes, please subscribe and leave a review. In this first episode I spoke with Amanda about what influenced her as she grew up, what it takes to make it in today’s economy, and her songwriting process. We spoke a few hours after the news of the death of musical legend and pop icon Prince became known. You will also get a sneak peek at 4 songs on their new album. These opening lines of The Honeycutters’ new album On The Ropes (Releasing May 20th, Organic Records) set the tone for both this album and their career path. Originally formed as a duo almost 10 years ago, band leader Amanda Platt has grown in every way that matters to create a viable and long-term career in today’s music industry. Her songwriting, singing, album production, business skills, performances, and even the occasional music video, all seem to have a Midas touch to them. If she’s slacking or failing at any aspect of her music career, she’s keeping it out of public sight--which is yet another important skill to have in show business. But as far as anyone can see, Amanda and the guys that round out The Honeycutters are firing on all cylinders and have a commanding lead to be the next breakout band from the culturally rich universe of Asheville, NC. Make no mistake, The Honeycutters are a country band in every sense of the word. They are the type of “country” that has the ability to save country music radio, in the same way as Sturgill Simpson, Whitey Morgan, and Chris Stapleton. They will probably stay firmly within the Americana charts and radio promotions and do very well there, but each time I put on their album I can’t escape the heavy realization of how much country music radio needs them right now. But Amanda, bassist Rick Cooper, drummer Josh Milligan, mandolin player Tal Taylor, and Matt Smith on pedal steel and electric guitarnare not going to wait around for country radio to hit rock bottom and come crawling back to the genuine and soulful artists that used to be radio mainstays. They are plowing forward to create and control their own career, and this album, On The Ropes, makes a definitive statement to that determination. Platt’s songwriting has a deep literary quality to it. If she weren’t a musician, she might be a published author writing about love and loss in the turn-of-the-century southern Appalachian mountains. In “Useless Memories” she creates a hypnotic visual journey that has a slow burn of revelation. The tension of becoming engaged in the song without fully knowing its purpose is palpable and exciting. Gathering dust on the window sill. Hanging in the closet still. Just when you think you have a handle on this album, the 11th track, “Ache,” comes through and hits you in the gut. It’s a slow ethereal meditation of plaintive voice and pulsating tremolo guitar that brings forth the spirit of Jeff Buckley singing the Cohen classic “Hallelujah.” The song serves as both a pleasant surprise and a taste of the creative well that we are sure to see more of in the future. Is it mere coincidence that the very next song is actually Cohen’s “Hallelujah?” Played with a cut-time bluegrass feel, The Honeycutters give this often-covered song a new buoyancy and lift as Smith’s pedal steel and Taylor’s mandolin dance around the melody with ease and playfulness. 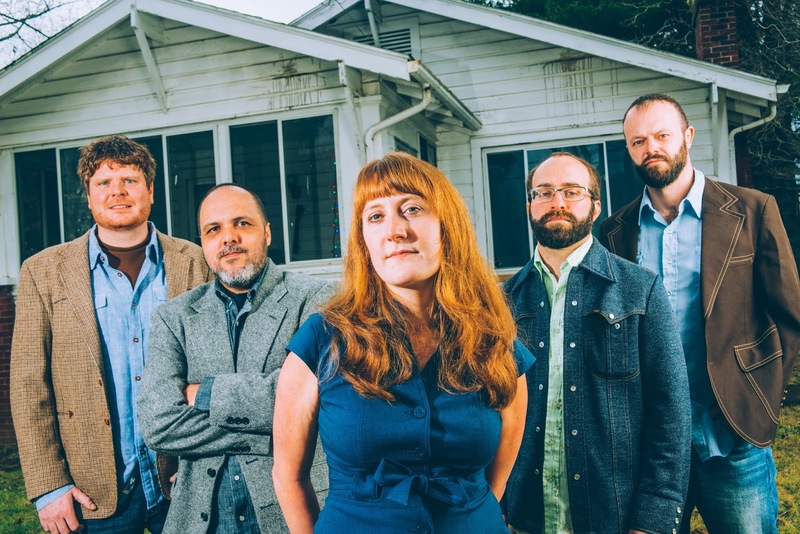 The Honeycutters are rising to the top of the Americana music scene through talent, business sense, and the ability to still have fun within their music and recordings. If the underground country music scene, with its southern soul, heartfelt songwriting, and engaging personalities excites you, then The Honeycutters should be at the top of that playlist. I’m already excited for the next album.